Beijing looks to be getting better at how it uses soft power in the region. Exactly five years ago, on November 18, 2011, Chinese Premier Wen Jiabao stood up in the Bali Convention Center and offered Southeast Asian countries $500 million to cooperate with China on maritime issues. It was a total failure. However, from the fiasco of the China-ASEAN Maritime Cooperation Fund Beijing learnt how not to deal with its southern neighbors. Five years on, officials appear to have learnt how to spend their money more wisely and more effectively spread Chinese influence in Southeast Asia. But there was a major problem. At that time ASEAN, had little interest in maritime cooperation with China. In March 2011, Chinese ships had obstructed a seismic survey off the coast of the Philippines. 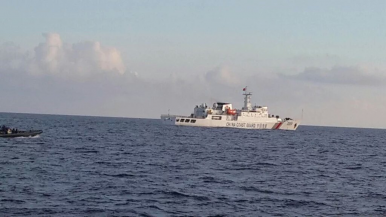 In May and June, Chinese vessels had cut the seismic cables of a survey vessel in waters claimed by Vietnam and Malaysia was also becoming concerned about Chinese activities in its waters. Ruling circles in Beijing appeared to think that all this bad behavior could be brushed under the carpet with some financial inducements. China persisted with its attempt at checkbook diplomacy, blind to the reasons why ASEAN may not be interested. A year after the Bali summit, Vice-Foreign Minister Fu Ying read out the same list of proposals to a China-ASEAN meeting in Phnom Penh. “We should use the China-ASEAN Maritime Cooperation Fund to carry out cooperation projects in such areas as marine scientific research and environmental protection, connectivity, navigation security and rescue, fighting transnational crimes and marine economy,” she said. Once again, no projects actually took place. China kept trying. In June 2013 China and ASEAN agreed, at least on paper, to “make good use of the ASEAN-China Maritime Cooperation Fund, promote practical cooperation in fishery, maritime connectivity, marine science and technology, disaster prevention and reduction, and navigation safety and search and rescue, and make maritime cooperation a new highlight in ASEAN-China Cooperation.” But again, nothing actually happened. In April 2012, China had seized control of Scarborough Shoal off the coast of the Philippines, and its talk of cooperation rang hollow in the extreme. Finally, in November 2014, three years after Wen’s announcement, the two sides, agreed to designate the Year 2015 as the ASEAN-China Year of Maritime Cooperation and, “welcomed China’s comprehensive plan for utilizing the ASEAN-China Maritime Cooperation Fund to provide financial support for ASEAN-China cooperation in the areas of maritime connectivity, marine science and technology as well as maritime scientific research, search and rescue, disaster management, and navigation safety.” This was just six months after China had sailed an oil rig into Vietnamese claimed waters off the Paracels. The Year of Cooperation was formally launched at the March 2015 Boao Forum. But again, nothing happened. There was minimal cooperation that year. So what happened to the $500 million initially pledged to the Maritime Cooperation Fund? It seems that, outside a few events in China, it was either never spent or it disappeared into the bureaucracy. Part of the explanation for the failure may lie in the inability of Chinese officials to turn high-level initiatives into practical action. This is something that bedevils Chinese diplomacy. Bureaucrats bicker over who should be responsible for budgets and which ministry should be in charge. According to Sébastien Colin of the French Centre for Research on Contemporary China in Hong Kong, such infighting prevented China’s State Environmental Protection Agency from participating in a six-year-long UN Environment Program-led research project in the South China Sea between 2002 and 2008. The other reason was that ASEAN governments didn’t want to play nice at a time when China was playing nasty. The Maritime Cooperation Fund does still exist however. Its main beneficiary now appears to be the National Institute for South China Sea Studies (NISCSS), based in the city of Haikou. The institute used to be a joint venture between China’s Ministry of Foreign Affairs and Hainan Province, but now appears to be more closely tied to the ministry than the province. One Southeast Asian source says that during a conference in Sydney in 2013, the NISCSS President, Wu Shicun, told delegates that he was now in charge of the Fund. Since then, the Fund’s purpose has been redirected. Rather than grand talk about inter-governmental cooperation in environmental protection and “combating transnational crimes” the Fund is now a vehicle for soft power projection. In the jargon, it has been retargeted away from Track 1 (governments) towards Track 2 (think-tanks, analysts and journalists). The NISCSS is the sponsoring organization for the Institute of China-American Studies (ICAS) established in Washington, D.C. in late 2014. In April 2015 ICAS hosted a lavish launch conference in the city with presentations from Henry Kissinger, among others. Inquiries to ICAS about whether it has benefited from the China-ASEAN Maritime Cooperation Fund went unanswered. The institute has a relatively low profile in Washington but has become frequent contributor to American events discussing the South China Sea disputes. Three conferences have been held: in Jakarta in September 2015, in Haikou in January 2016 and in Singapore in July 2016. According to participants, the three events’ purpose was to define concrete steps that the ten members of ASEAN and China could take to promote their ‘partnership’. But there were limits. Even though the third conference took place just days after the Arbitral Tribunal delivered its ruling on the case brought by the Philippines against China, the co-chair of the event, Wu, ruled that it couldn’t be included in the final report. In such ways, China is trying to define the terms on which ASEAN can talk to it – but simultaneously reminding ASEAN why it remains concerned about Chinese behavior. The three meetings produced series of recommendations that were not publicized but which the think-tank participants were expected to pass up their chains of command to the officials working on relations with China. In this way, these Track 2 conversation are clearly intended to influence subsequent Track 1 discussions. The NISCSS wants to further institutionalize the cooperation. In March this year, the institute and the Center for Strategic and International Studies inaugurated the China-Southeast Asia Research Center on the South China Sea. The NISCSS and this Research Center are now the joint hosts of another NISCSS-hosted organization: the China-ASEAN Academy on Ocean Law and Governance. The Academy is also funded by the Cooperation Fund and is “designed to foster a community of ocean governance of the region.” The Academy was launched in Haikou in January 2016 with a conference jointly organized with the International Ocean Institute-Canada, a non-governmental body based at Dalhousie University. Its second conference took place earlier this month, also at the NISCSS in Hainan. The Institute has reached out to most of the main think-tanks in Southeast Asia and many have sent delegates to events and courses organized by the Research Center and the Academy. There have been internal debates among these think-tanks about how closely to partner with their well-endowed partner in Haikou. The Vietnamese have declined to enter any formal arrangements and rumors suggest some staff at CSIS in Jakarta felt uncomfortable about the way their relationship with NISCSS has been exaggerated by their Chinese partners. There is at least one other major beneficiary of the Fund: Xiamen University, which is in the process of establishing a new campus in Malaysia. According to Chinese media reports, one fifth of the campus will host the China-ASEAN College of Marine Sciences sponsored by the Ministry of Foreign Affairs of China with support via the China-ASEAN Maritime Cooperation Fund. The College will also benefit from, “an advanced general-purpose research vessel equipped with state-of-the-art scientific instruments is being built and to be launched at sea in 2016, to service the interdisciplinary oceanographic cruises conducted in international waters.” One report says the new college has benefited from $15 million dollars from the China-ASEAN Maritime Cooperation Fund. Taken as a whole, it’s clear that, after its initial failure, the Fund has now become a very useful tool in the projection of Chinese influence into ASEAN policymaking circles. There is nothing that regional analysts enjoy more than invitations to travel and pontificate. Moreover, many governments do it – both inside and outside Southeast Asia. (After all, I’m writing this from the sidelines of South China Sea conference funded by three Vietnamese foundations!) However it is clear that China is getting much better at buying goodwill among the Southeast Asian policy-making community – and that the Fund has become China’s main vehicle for this. At the last gathering of the ‘Partnership for Regional Peace’, Wu told the assembled delegates that the Fund had plenty of resources available for other initiatives and invited suggestions for future cooperation. It’s not clear whether it will change the minds of experienced Southeast Asian analysts who watch China’s island-building and rapid military build-up with rising concern. But among the younger generation and over a long period of time, perhaps it will be money well spent. Bill Hayton is associate fellow at the Asia Program at Chatham House.